Last Friday, November 4th, I took the day off and spent the day with two of my most favorite people, Christie and Jen. (Christie has been my BFF since I was 15 or so.) We headed to Springfield, MO for our annual trip to the 2 Friends & Junk Vintage Market. This show happens yearly at the Ozark Empire Fairgrounds and boasts having 180 booths from over 11 states and THOUSANDS of attendees over the course of two days. I am not sure how many years we have been going, but I think this was YEAR 4. The last two years my mom, Hollis (Bowser's Emporium Unlimited) has had a booth featuring her art and painted furniture, but she opted out this year since she is busy working on getting ready to move next door to me! Christie was on a mission to find some items for her brand new house. Jen grabbed an olive basket and a few pieces to display in her kitchen. I was NOT on the hunt for anything. And since I am currently trying to declutter and scale down my possessions to those that I value most, I knew that anything I bought would have to be pretty spectacular. Here’s a peek at the items that I decided just MUST come home with me this year! The necklace on the left is the one that I bought this year. The one on the right is the necklace I bought from Harley and Maudes last year. I love it so much and wear it all the time! A brand-new necklace from my favorite booth, Harley and Maude’s! This little shop has the most amazing collection of tiny quotes, trinkets, charms and remarkable junk to choose from to make a custom necklace (or bracelet // keychain // belt buckles, etc.). And the friendly (and patient) lady that owns it will help you put the perfect pieces together so that you have a variety of textures/colors/sizes, etc. I went with an Airstream/travel theme this time around. I am sure I will love this one as much as the one put together last year (Indian Head necklace in the photo). 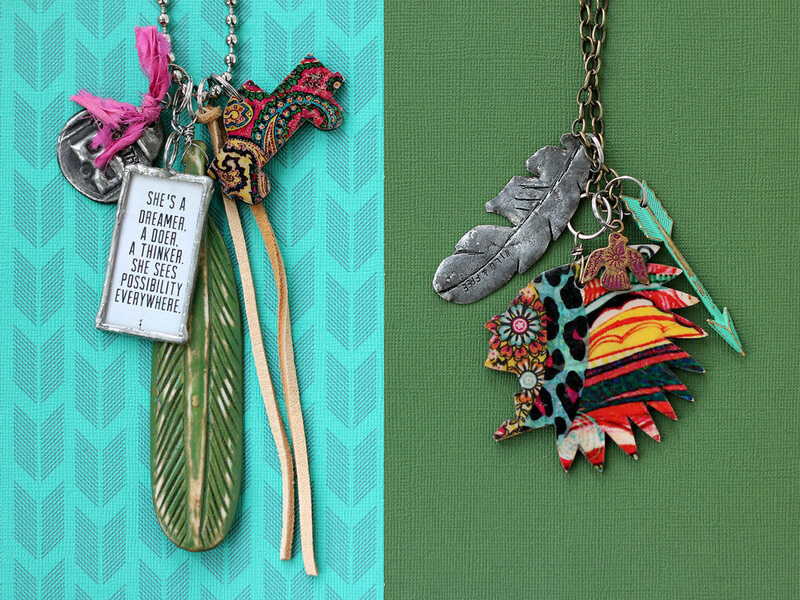 Check the fun things she has in her Etsy shop! Vintage Pennants. OMG. I am in capital L-O-V-E with these things. Authentic. Old. Cool type. Cool places. Felt. What’s not to love?!!? Pretty sure this is the start of a collection right here. 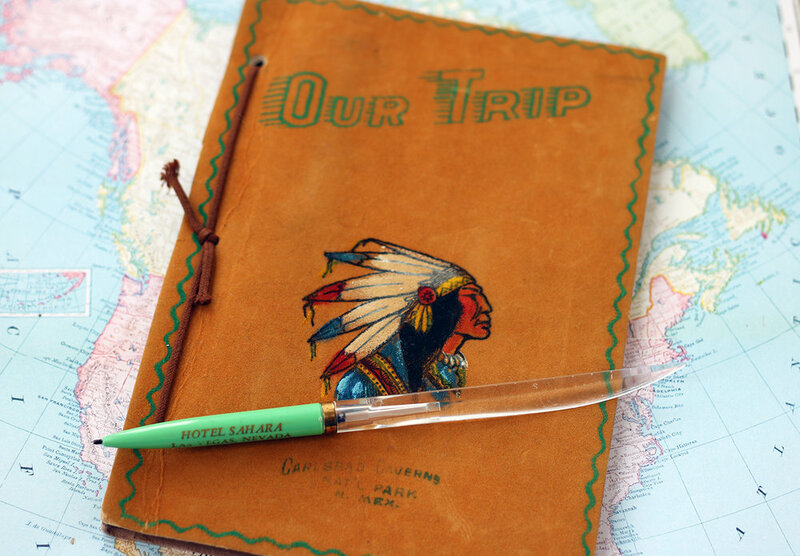 A travel journal with an Indian head on the cover and an uber-cool pen. This journal comes with a handwritten travel log of the original owner's road trip from Springfield, MO to Las Vegas in July of 1961. The pen is from the Hotel Sahara where the couple stayed on their excursion! Makes me want to travel their same route and see what still exists from their stories. I plan to use this little gem as an inspiration piece for my travel blogging post/ideas in the future! And it cost me a whopping $4. 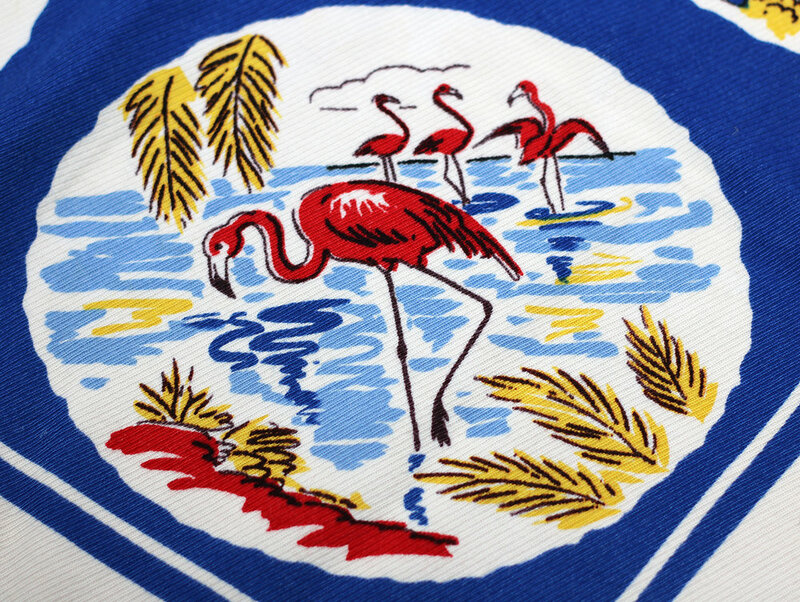 Florida Tablecloth. I am grabbing these when I see them. (Help a girl out if you see one!) I am holding on to them for an Airstream project down the road. Right now I have California and Florida. I'll be on the hunt for more of these in the future. Vintage/Retro Christmas records. Can't wait to bust them out in front of my kids and hear them say "What is that?!". I can perfectly recall listening to "Santa Baby" (on a 45) on constant repeat around the holidays when I was a kid! It was my favorite! Next step, I need to find a record player. Hopefully vintage and hopefully cool to place under my 50s shiny silver Christmas tree. Our day of "junkin" was a success, and I ended up with a few small items that I LOVE! 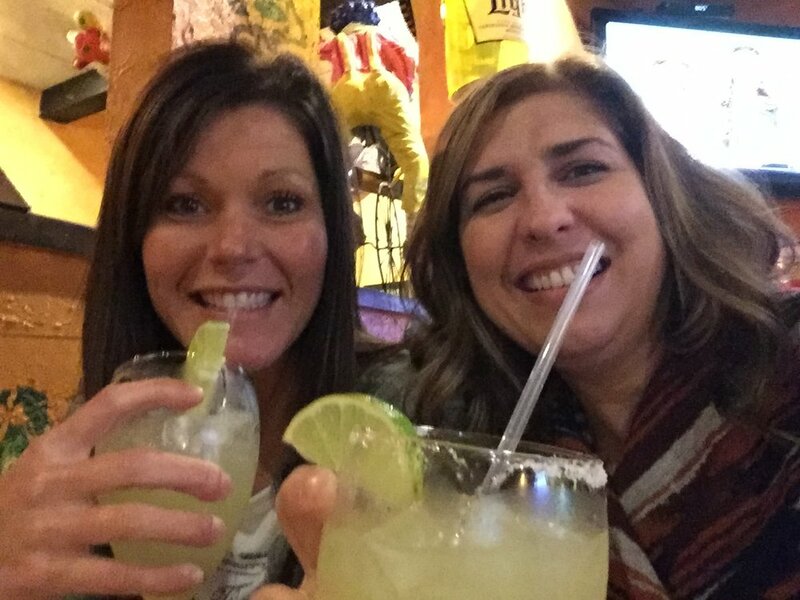 Bryan did NOT have to drive down and pick anything up, and I got to end the day with lots of laughs and margaritas with Christie and Jen. It doesn't get much better than that! The smell of a campfire, any campfire, always stops me in my tracks. It has been that way all of my life. Or maybe just my adult life, but I think probably always. I certainly love sitting and enjoying a campfire. The warmth, the beauty, the crackling sound, the light, the unpredictable nature of its flames, but most of all the smell. If I could send you that scent through this computer this very instant, I would. Chances are if you are here, you like it too. What is it about that smell though? I mean really. When I think about campfires, I recall a handful of memories that all happened in my teenage years. They are like blurry polaroids buried deep inside my mind. The memories involved close friends and belly laughs, beer and cigarettes, trucks and a creek bed. Or a piano. We burned a piano in the front yard once. That’s another story. I know smells can transport you to a different time, but my love of a campfire is different than that. It doesn’t transport me to a particular time, it transports me to a feeling. Mostly I think a campfire smells like adventure and freedom laced together in one intoxicating scent. We have a beautiful fire pit at my house that my husband, Bryan, created for our family. It was a total labor of love. Honestly, deep down I know he created it just for me. And while he enjoys sitting there, no one spends as many hours sitting there as I do. I like sitting there in the evening when the fire is burning. I like sitting there in the early morning when the hot embers are barely smoking. It is the perfect spot to daydream. I do my best planning and thinking there. It’s where the idea for this blog was born. 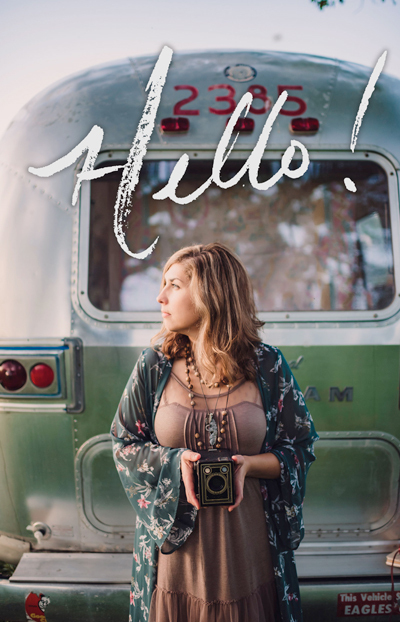 Daydreams & Airstreams is a blog that will celebrate that sense of adventure and freedom, family, and some of life’s simple pleasures like campfires. I will share my daydreams and the progress we are making on the 1971 Airstream that my family is rehabbing. It’s a place I can share with you how I plan to fill my life with more adventure and freedom, and it might give you some ideas on how you can too. So welcome to you, my new friend, pull up a chair around my campfire, breathe in that smell and join me on this new adventure!